Nashville, Tenn. (November 5, 2018) — Nominations are now open for songwriter members of the Board of Directors, Unclaimed Funds Committee and Dispute Resolution Committee of the Music Licensing Collective (MLC) to be submitted to the US Copyright Office for approval as established by the recently passed Music Modernization Act. Prospective nominees can be submitted at http://www.mlcsongwriters.com through 11:59pm CST, December 5, 2018. American Society of Composers, Authors and Publishers (ASCAP), Broadcast Music Inc. (BMI), Nashville Songwriters Association International (NSAI), Songwriter’s Guild of America (SGA) and Songwriters of North America (SONA) have each named two songwriters to a ten-person selection committee to review nominations, evaluate candidates through a multi-step process and ultimately select songwriters for service to the original Board and Committees of the Music Licensing Collective (MLC) that will then be submitted to the US Copyright Office. The selection committee members are Steve Bogard (NSAI), Rick Carnes (SGA), Lynn Gillespie Chater (SGA), Dallas Davidson (BMI), Chris DeStefano (NSAI), Bob DiPiero (BMI), Dan Foliart (ASCAP), Adam Gorgoni (SONA), Michelle Lewis (SONA) and Paul Williams (ASCAP). In light of the CRB’s ruling today to increase mechancial royalty rates for on-demand DSPs, I would caution against passing the Music Modernization Act without first amending it to include some very necessary guarantees for DIY musicians. Given the recent ruling to increase mechanical rates, penalize DSPs for late payments, and remove the TCC cap DSPs will be more incentivized to cling to the safe harbor components of the MMA to limit their financial responsibility to songwriters. I also fear that the blanket license (combined with the elimination of the statutory damages provision against infringement) would hurt more DIY musicians than protect compared to the existing compulsory licensing schema where today an independent can fully self-administer his/her mechancial rights via a service like TuneRegistry or with a third-party administrator like Songtrust. Why? Because the unclaimed/unpaid (aka “black box”) royalty fund will also increase by 44%, giving major publishers a bigger windfall of market share distributed gains from a royalty pool that generally belongs to unidentified independent songwriters. What incentive does DSPs, who must pay the rates anyway, and major publishers, who will undoubtedly control the mechanical licensing collective body, have to ensure the works of DIY musicians are properly represented and accounted to and what power do DIY musicians have to assert their limited rights? I could be completely and utterly wrong. However, the devil is in the details and the MMA, while it does streamline the process of mechancial licensing in the United States for DSPs it also effectively limits the warranties and representations of DIY musicians. Every article written about MMA is generally written from the perspective of publishers and NMPA members. 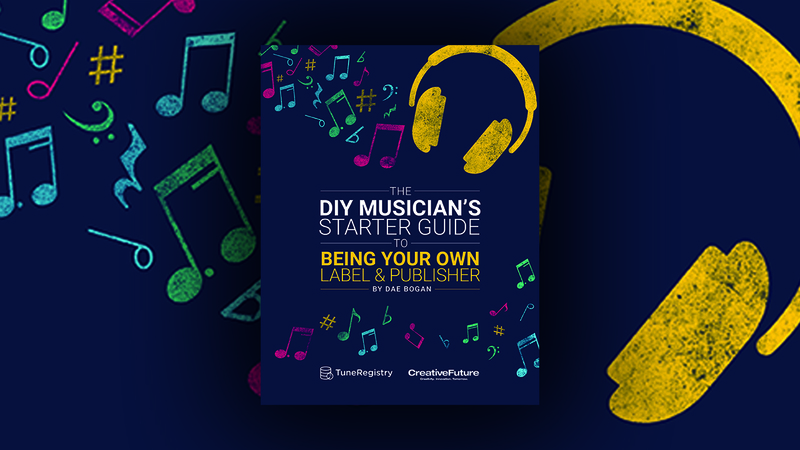 As an advocate for and service provider to DIY musicians, my perspective is a bit different and more nuanced. The decision today by the CRB was a win for all songwriters. The MMA is a win for major publishers. It must be amended.